People often ask what me what my favourite travel memory is and without hesitation I state it is standing on a hill high above Tobermory on the Isle of Mull and watching the sunset over the Hebrides. The colours of Scottish sunsets are unbelievable. I thought I was watching the beginning of time. Dark blues, deep reds, orange and black — the sea shimmered between the islands of Uist, Rum and Canna. I am enthralled by the Scottish islands. Their ethereal beauty tugs at the heart of my Scottish ancestry. A special magic makes island living a dream for the many who choose to live and work in these remote parts of Scotland. A ferry from Oban to Craignure is the most frequently used method of travel to Mull. There is also a shorter ferry trip to the mainland, which then involves several short car ferry rides and includes driving past lonely white stone cottages on the edge of dark lochs, the mist swirling around beautiful hills which reflect the history hidden within their folds and winding narrow highland roads. I stay with friends on Sgriob-ruadh farm, which produces the award-winning Isle of Mull cheese. A family enterprise, they own the only dairy farm on the island with the business now expanded to include holiday flats, a biscuit factory, tours and the Garden Barn café. I watched the Isle of Mull artisan cheese begin it’s journey with the milk being transferred to the cheese making vat as the cows are being milked. 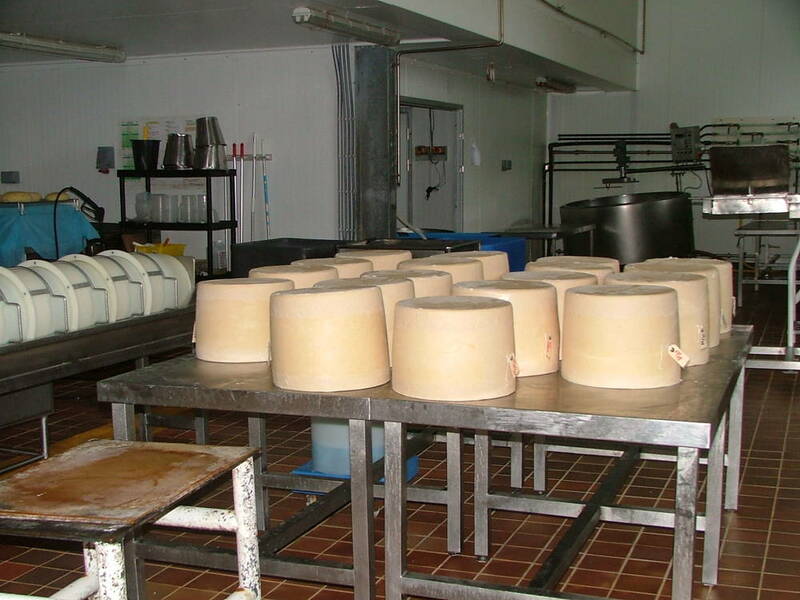 The milk is not pasteurised and colourings are not added, which produces an individual cheese in both colour and taste. I was fascinated to watch the cheese being made, visited the cellar where the cheeses are turned and aged, and spent several evenings enjoying wonderful cheeses served with wine and oatcakes. 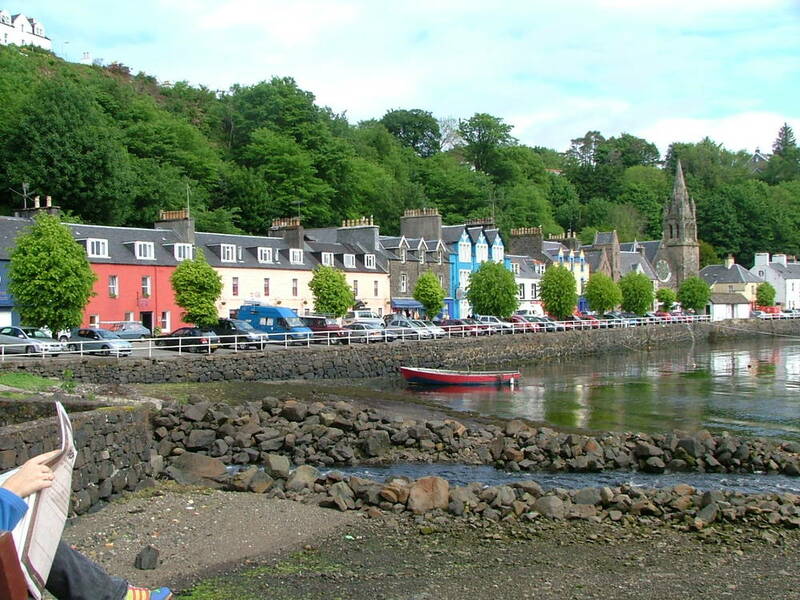 Mull’s main town, Tobermory, is bright and cheerful with the shopfronts painted in many colours. The harbour laps right up to the wall next to the main street. There are a variety of interesting shops, my favourites being the chocolatier and the manufacturing jeweller whose unique silver pieces are often complimented on when I wear them. 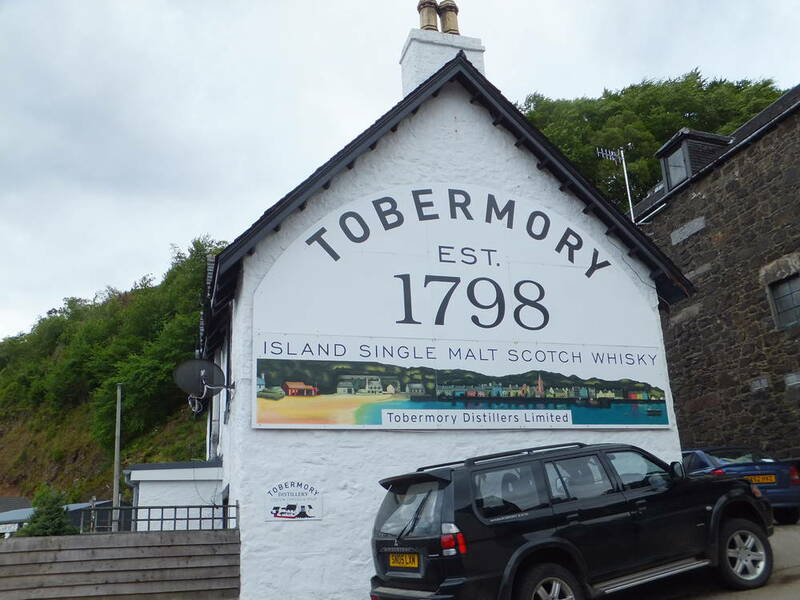 The whisky distillery sits at one end of the town and there is a wonderful café in the An Tobar Arts Centre, situated in an old church on the hill behind the town. Glengorm Castle is a 19th century country baronial house built on a headland, which overlooks the Atlantic Ocean. On a clear day you can see the islands of the Outer Hebrides. It has a café in the former stables and workshop, which uses their own farm and local produce for the menu. They make the best soup I have ever tasted. 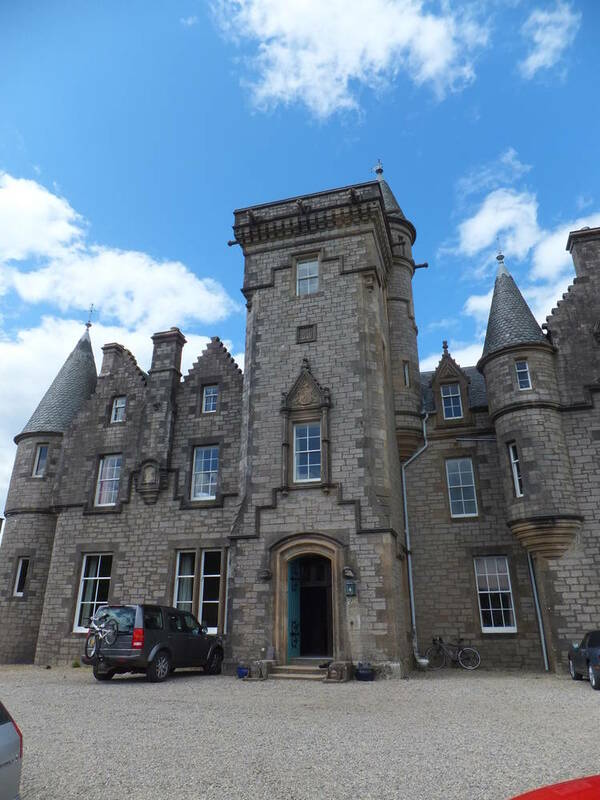 The castle also operates as a guest house and wedding venue. My friends invited the owners of the castle to dinner one evening and we partook of home grown tender highland beef and a plethora of vegetables. This beautiful meal was only surpassed when I visited again in 2012 by a dinner of wild venison shot on their farm. It remains one of the most memorable meals I have eaten while travelling. One morning I travelled by bus from Tobermory to the island of Iona. I shared a seat with a woman who had a very smelly small brown dog which had travelled all the way from London by train, not an entirely pleasant experience! A short ferry ride from Fionnophort followed and I found myself among the relics of the cradle of Christian civilisation in Scotland. It is a wonderful place for contemplation. 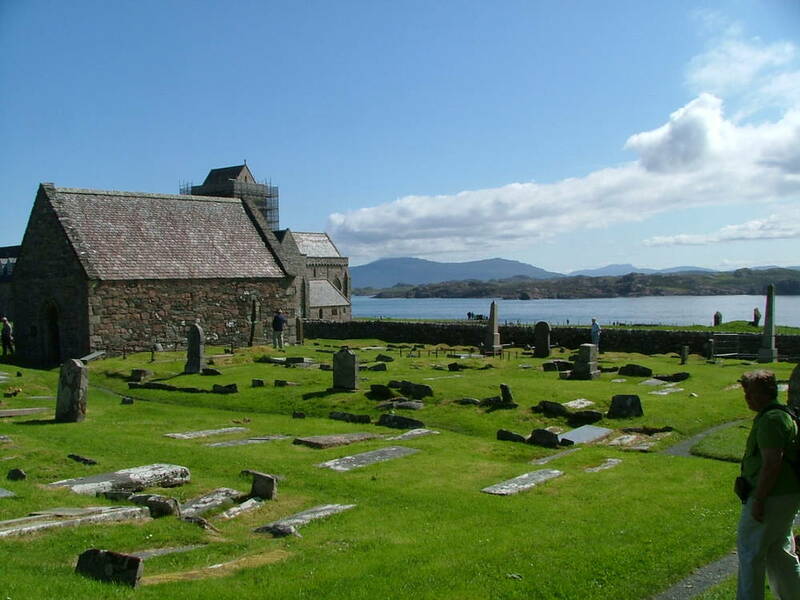 The Iona Community, an ecumenical Christian group leading the Celtic Christian revival, are among the few people living on the island. There are a variety of arts for sale, I purchased a beautiful silver bracelet with Celtic engravings representing a new beginning, something which was very much a part of my personal life at the time. On my last night on Mull, I was driven to a small restaurant near Calgary and then to Calgary Bay, which is the epitome of a beautiful Scottish beach. I left Mull determined to return one day and did so five years later. The beaches, blue hills, narrow roads where people give way to each other without question, standing stones and the wrecks of old fishing boats ensure this is a place of beauty and Scottish dreams.